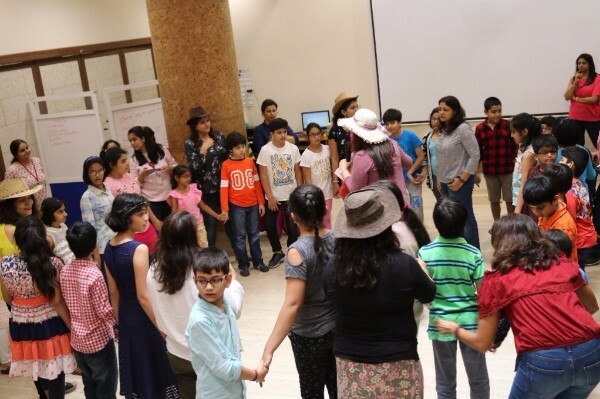 Students were treated to fun and games organized by parents, as well as a surprise performance by teachers on their special day! 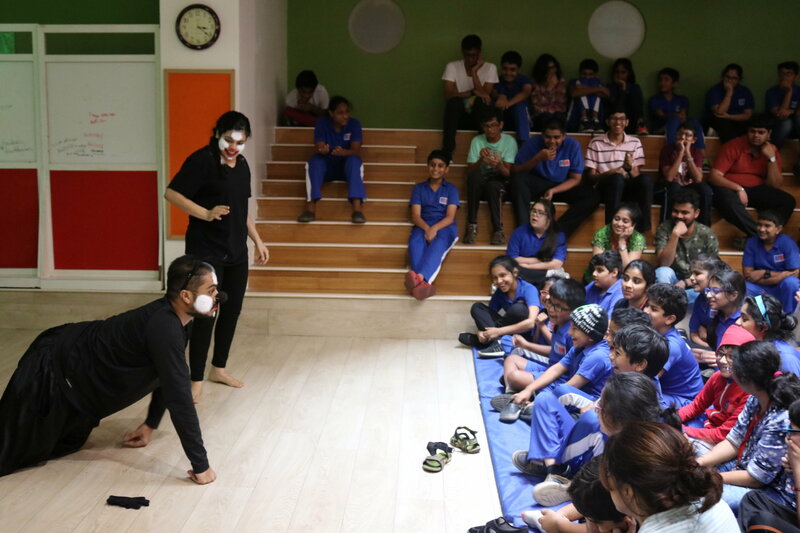 Pehelwan inc., a theatre company, put up a play about appreciating one’s uniqueness and incorporated songs, masks, and entertainment! Serafina Singapuri discussed edible education programs - schools growing and then cooking their own produce. Students created self-watering bottle planters and planted micro-greens. 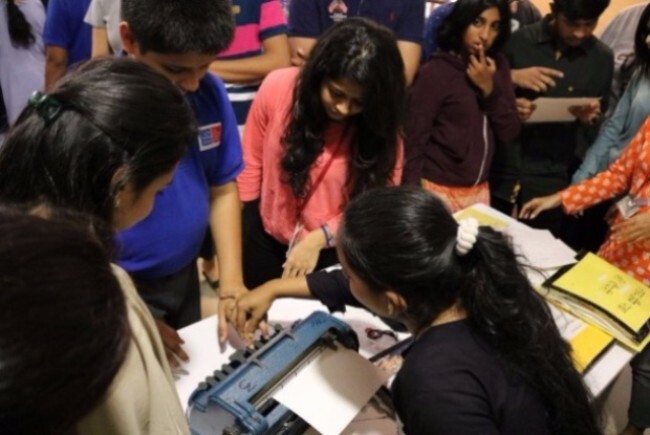 Students from the Helen Keller Institute for Deaf & Deafblind in Mumbai visited us and exposed our students to sign language, braille and canes, in an effort to cultivate empathy for their experiences. At this year’s advisory board meeting - which occurs annually to review progress and advise - the students were the stars! The High School Adaptive Program (HSAP) students cooked for and hosted the advisory board members at the Gateway Cafe! Gateway’s student-led “The UBU Company” (which stands for United But Unique) pitched their first product to the advisory board in shark tank fashion! 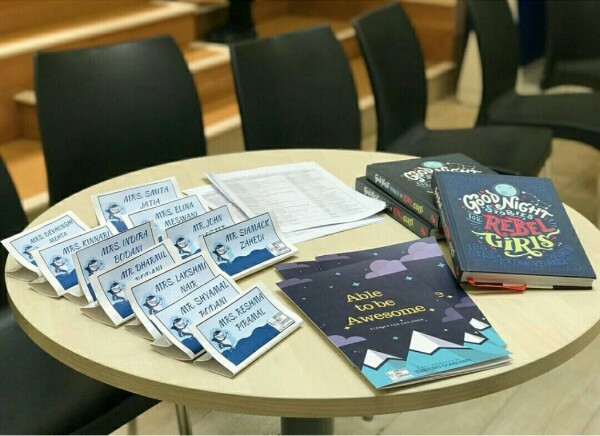 They created a book of child-friendly biographies of differently-abled individuals - “Able to be Awesome” - that aims to promote inclusion in the community. This included a flash mob (a “cash” mob!) performed by all our students - and they gained their first investor! 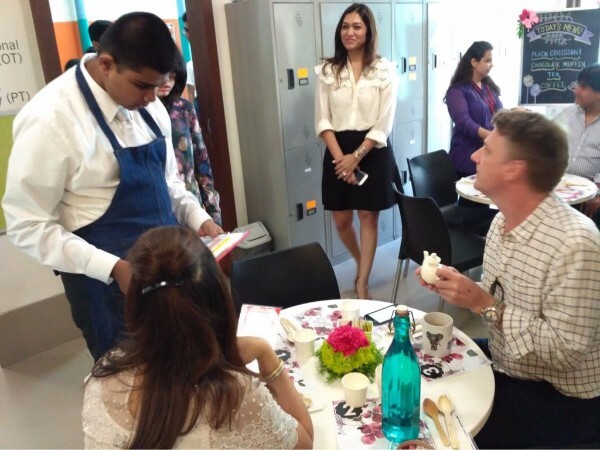 Gateway student and major foodie, Siddharth Bakshi, visited and reviewed a local restaurant with the award-winning television host and cookbook author, Rashmi Uday Singh. 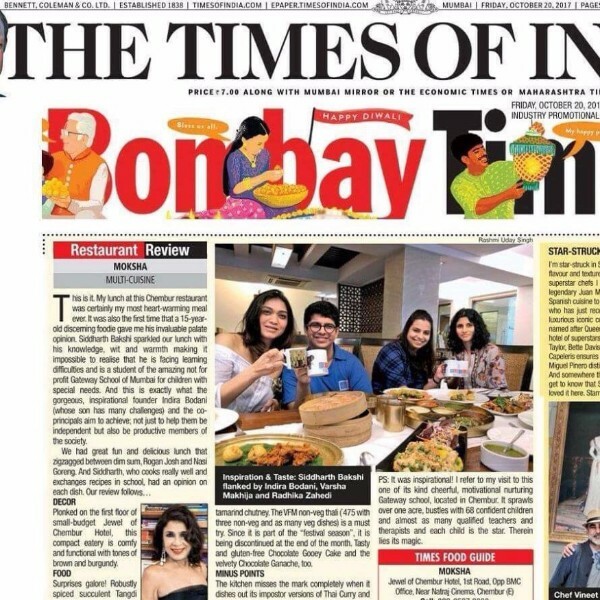 Their review was featured on the front page of The Bombay Times! A Day with the Humboldt Penguins! 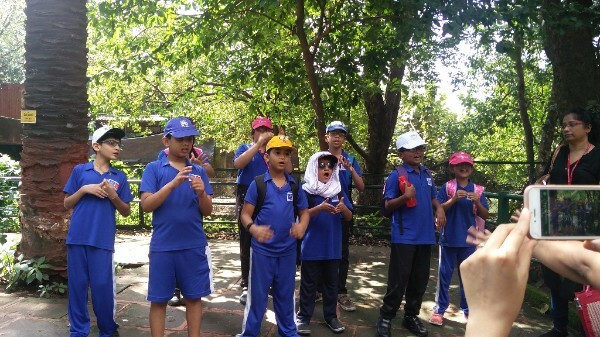 Our youngest students (The Pathfinders) visited the Byculla Zoo to observe the Humboldt Penguins and their living conditions as part of their humanities unit on “adaptation”. Students (The Squad) are learning about energy conservation methods in their humanities class, and were visited by experts from solar panel manufacturing/selling companies to present their research on the topic and receive feedback. 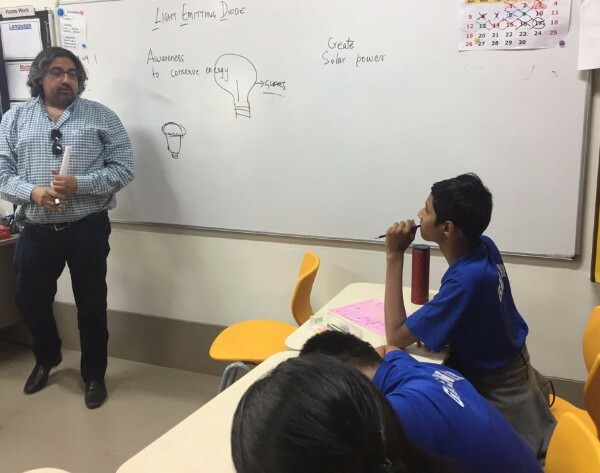 Thank you to Mr. Shitanshu, Mr. Bhavin Soonderji, Ms. Priyamvada Pandit, and our very own Mr. Suresh for your time! One of our parents, and a psychotherapist by profession - Dr. Tanuja Prem - conducted a workshop on Rational-Emotive Cognitive Behavioural Therapy (RECBT) - a self-help type of talk therapy. Parents had the opportunity to apply RECBT to situations in their lives. Our Director of Research & Outreach, Dr. Radhika Misquitta, participated in an expert discussion on inclusive education and its role in creating a holistic educational experience for all learners. 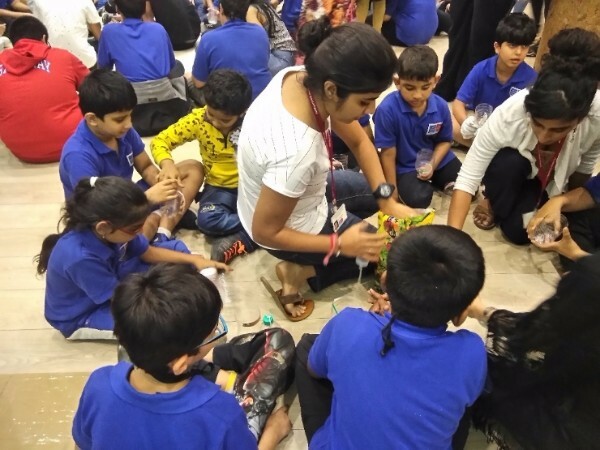 Co-Principal and math teacher, Radhika Zahedi, writes about inculcating a love for math in children and focusing on real-life math in the online parenting website Kidsstoppress. The speech and language department conducted a workshop focused on the importance of explicitly teaching active listening in the classroom, and strategies for the same. 1. Shruti Nivas, a product designer, visited to learn about the needs of students with autism, in order to design assistive technology that supports motor functioning. 2. A team from Teach for India (non-governmental organization), and Deepti Gubbi, Head of Education at Jai Vakeel School (for vocational training) visited to learn about teaching practices. 3. 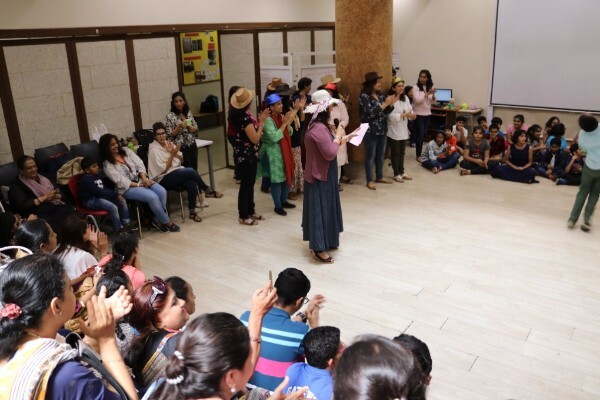 Dr. Coomi Vevaina, Founder-Director, Centre for Connection Education and Management, at University of Mumbai, interviewed school leaders and parents, as she is designing an online course for pre and in-service teachers. 1. Aditi Ghosh is a student of PG Diploma in Special Education from Tata Institute of Social Sciences (TISS) is observing and assisting with classes. 2. Indian Law School College (ILS) student, Manasi Etta is interning for a month and will be supporting in the library and language classes. Our R&D team authored an article about time-related challenges in the classroom based on a study they conducted. It was published in TeacherPlus - an Indian online and print magazine. 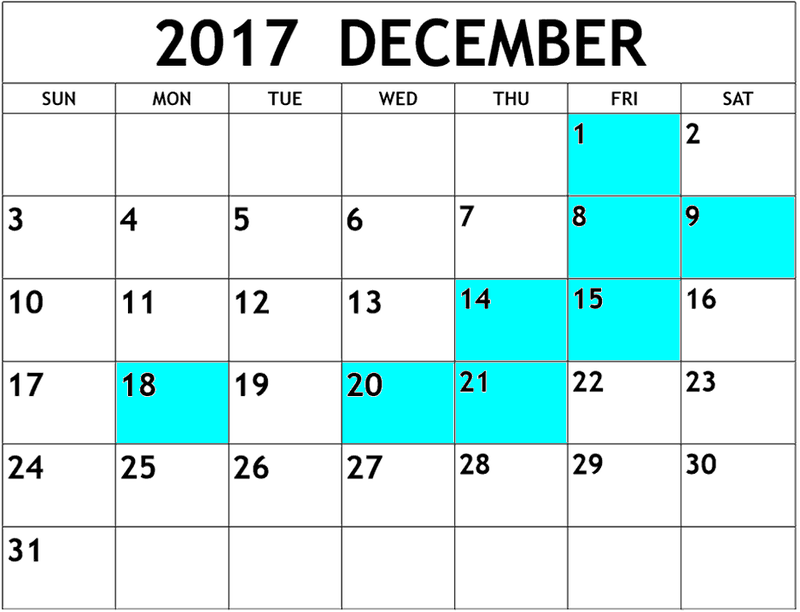 20th: Holidays begin for students!